Cutting your own Christmas tree is a magical tradition. I can think of no better way to start the holiday season. Not every town is so fortunate to have it’s own tree farm. Not only can you enjoy your own tree, but you can also enjoy the trees in the town square. The Bean Station Tree Farm, Prattsburgh Historical Society and local businesses ‘deck the halls’ of our town square every year much to everyone’s delight, helping to make the holiday season the most wonderful time of the year. 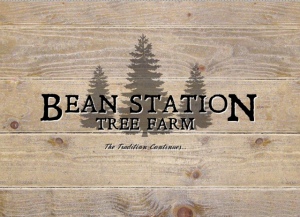 The Bean Station Tree Farm is located at 7190 Bean Station Road right here in Prattsburgh. Be sure to dress for the conditions, and enjoy some hot chocolate while you’re there. Saws and carts are provided and you can get your tree wrapped for easy transport and setup. Be sure to check out the large selection of wreaths and holiday decorations too!